aware of what the current regulations are. Unfortunately this attitude only underscores how exposed they actually are. Cornerstone Plan Sponsor Consulting helps Plan Sponsors limit their liability, as they navigate through the tangled web of rules and regulations from the various agencies, including the DOL, SEC, ERISA and state regulators. Even if you don’t take it seriously, the government regulators do. The Department of Labor (DOL), Securities Exchange Commission (SEC), and state governments have been working on a Fiduciary Rule for the past few years. 3rd - States start to develop their own Fiduciary Rules… A hodge-podge of various rules, some contradicting each other. 4th - The SEC steps in with their Fiduciary Rule. 5th - States continue creating their own rules. 6th - The DOL announces they are coming out with a new and improved Fiduciary rule by the Fall of 2019. Instead of a cohesive set of Fiduciary Rules by the DOL, we have a mess - State rules, SEC rules, and soon to be new DOL rules. Let me correct that, WE don’t have a mess, YOU, the Plan Sponsor has a mess. And you think the salesman that sold you the 401k is doing anything to protect you? Or your TPA? Or the custodian that holds your 401k assets? If anything, they are doing the minimum of re-allocating from one fund to another within the Plan. That’s it. These and dozens more are the requirements of a Fiduciary, a Plan Sponsor. Who’s really responsible for the plan? ●	Plan with Enrollment, Education and Rollover seminars. ●	Online storage all completed documents in one place. 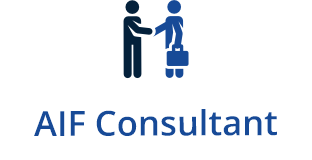 - but your AIF Consultant is there to lighten the load! So far, maybe you haven’t been audited or sued. Why should you go through all this bother? According to ComplianceBug, in 2017, audits by the Department of Labor (DOL) resulted in 65% of the plans having to pay fines, penalties or make reimbursements to the plans due to errors. Worse, their report showed the average fine was over $987,000, up 72% from the year before. And the DOL’s plan was to more than double the number of audits in 2018 over 2017. The pie chart is a generalization of what we have experienced. Your relationship with your 338 or 321 advisor may be different. It is our experience though that many 338 and 321 advisors focus only on the investments and not the Fiduciary File, policies & procedures, documentation and other fiduciary responsibilities listed above. Alleged plaintiffs were denied were denied credit for time spent working at a subsidiary that was acquired. Failed the obligation to monitor the investments. Yet these Plans all have something similar. They all have very good attorneys that didn’t get them out of the trouble they were in. The other things they likely had in common was a lack of supervision, monitoring and taking their fiduciary responsibilities seriously. Sounds familiar? Think your attorney is better than their attorneys? Think the salesman that sold you your plan is doing everything required of a fiduciary? of their plan done on a regular basis. ●	Who Are the Plan’s Fiduciaries? ●	What are the Fiduciaries’ Responsibilities? Is it documented and acknowledged? ●	Who maintains your Fiduciary File and What is in it? ●	How do you prove you have given the Plan Participants the proper, ongoing investment education? ●	What is a Prohibited Transaction? ●	How often do you review fees and performance and is it documented? ●	Do you know the risk level of the choices in the plan? Do the participants? How is it measured? ●	Do you have a Policies & Procedures Manual? ●	Do you have documentation of all decisions and notifications? …Then you need a Plan Sponsor Consultant.